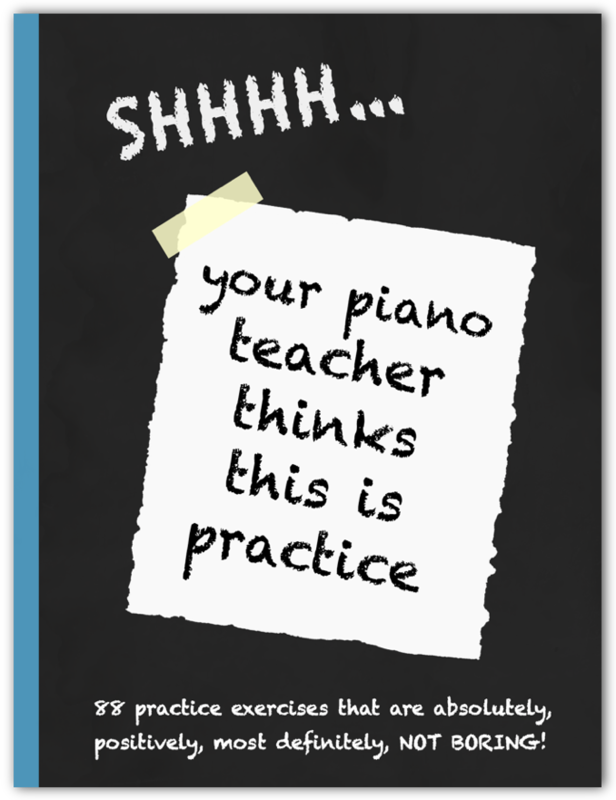 Shhhh… Your Piano Teacher Thinks This Is Practice is our answer to the age-old question, “How can we inspire students to practice?” Armed with this awesome new resource you will be able to inspire your piano students to practice using these 88 activities that are absolutely, positively, most definitely NOT BORING! The activities in this book are designed to get your students excited about spending time on the piano. They act as a companion to your students’ regular practice, and have been created to to be used with any level and any age for 88 days! When you purchase Shhhh… Your Piano Teacher Thinks This Is Practice you also receive a license to reproduce unlimited copies as long as it is for use within your personal studio. Shhhh… Your Piano Teacher Thinks This Is Practice is a product of Teach Music Today Learning Solutions, the Creators of WunderKeys.